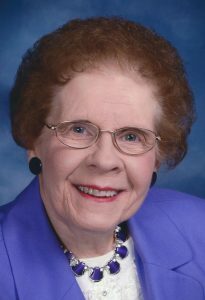 D. Joanne Bezilla, 82, of Philipsburg died Monday, Dec. 11, 2017 at the Mount Nittany Medical Center in State College. Born Jan. 26, 1935 in Lancaster, she was the daughter of the late Joseph and Margaret (Kerr) Silensky. She married John H. “Jack” Bezilla Jr. on Jan. 8, 1953 in Winchester, Va. He preceded her in death Feb. 25, 2007. She was a member of the Trinity United Methodist Church in Philipsburg. She was retired from the former Philipsburg State General Hospital in the x-ray department as a dark room technician. She was a 1952 graduate of the Madera High School. She is survived by one daughter, Brenda S. Smith of Philipsburg; two grandchildren, Jason R. Smith and his wife, Jessica of Howard and Courtney R. Pasquale and her husband, Scott of Warriors Mark; four great-grandchildren, Cooper Smith and Madeleine, Lincoln and Annaliese Pasquale; and one brother-in-law and sister-in-law, Don and Janet Bezilla of Osceola Mills. Funeral services will be private. Burial will be at the Calvary Cemetery in Altoona.